Update 12/16/10: Link to Shinobu Kitayama and Ayse Uskul, “Culture, Mind, and the Brain: Current Evidence and Future Directions,”Ann Rev Psychol 62 (2011): 419–49. 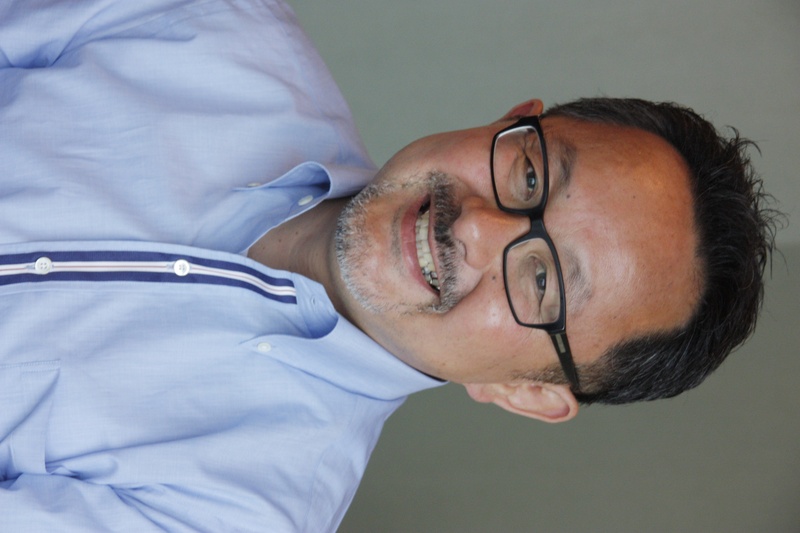 Science writer Karen A. Frenkel interviews cultural neuroscientist Shinobu Kitayama of the University of Michigan for the FPR. References are included at end of post. KAF: You’ve been involved in cultural neuroscience since the sub-discipline’s inception in 2007. How does it build on your original field of interest, cultural psychology? SK: I came from Japan for graduate school and I became interested in culture because of what I observed. In the naïve eyes of a young fellow from Japan, what I saw in the US was very interesting and in some ways a bit strange. Back then, almost all of psychology was “made in the USA” – almost all the subjects, research, theories. I had believed those theories would be applicable to everyone, including people in Japan and me, but when I came here I began to suspect that might not be the case. My American friends’ ways of thinking and acting seemed to fit much better with what the theories said about how humans should behave than my ways, or my Japanese friends’ ways, did. [Although] there was cross-cultural research, most used questionnaires. What was new in terms of what we set out to do two decades ago was the use of behavioral measures like response time, judgment, memory, and so on. These measures are often used to get at habitual, spontaneous, automatic, or even unconscious aspects of mind, which were strongly believed to be universal. They were part and parcel of the “CPU” of the human mind – to use a term that was very popular back then because of the computer analogy. What’s new in what we said, in retrospect, was that these features of the mind may be already cultural in some fundamental ways. We thought behavioral measures (as opposed to the self-report measures used in survey questionnaires) are important because we knew that people say many things that do not reflect what they have in their minds. Their psychological features may be revealed in what they do rather than what they say. Our more recent move into neuroscience has been motivated by very much the same concern. When cutting-edge brain measures like fMRI ERP, EEG or fNIRS became available, it was just a natural extension for me to use these techniques to examine cultural influences on some basic psychological processes underlying people’s cognition, emotion, and motivation. Theoretically, there are lots of interesting questions to be asked once you start looking at culture and the mind with the brain as a kind of mediating process. Most important, the brain is a biological entity; so by studying brain it will be possible to see how culture might be transformed into a biological process. We believe the brain is very malleable and designed to incorporate cultural information. I think cultural neuroscience has very exciting theoretical possibilities, connecting nature and nurture and trying to understand how culture exists, how it might be important within a much broader evolutionary context. Just to give you one example, imagine that you live in a culture that takes masculine honor very, very seriously. A gang culture in any American inner city, or some Mediterranean culture, or maybe a military culture might also fit the bill. Members of these cultures have to be very well-equipped to respond very aggressively to a minimum cue of insult from others. There is a lot of education or training for this, which may be carried out by peers, colleagues, and bosses, depending on the specific contexts. But the point is that to get that kind of preparedness requires fine-tuning or, maybe in this case, bolstering of some aspects of your mind and brain. How are the required responses encoded and programmed in the brain? Moreover, in the absence of any insult cue you will just have to be very polite, deferential, or just nice, partly because these behaviors are also essential to avoid aggression toward you by others. So whatever program for explosive anger you might have equipped yourself with to adjust to the culture of honor must also be highly situation-specific. How does that work? Questions like these can be studied in depth with the measures and approaches of neuroscience. KAF: Why should lay people be interested in cultural neuroscience? SK: Many people believe the brain is a matter of biology and that it is rigid – that if you have a bad brain you cannot change it. But cultural neuroscience can offer a lot of possibilities that suggest how flexible the mind and brain might be. That’s an important message. It’s an extension of neuroscience in recent years, which takes plasticity seriously. Cultural neuroscience can be very useful because it examines the type of context that is arguably most important for humans. Brain plasticity can occur in a context that is as fine-grained as chemical composition in a test tube. But it’s crucial to examine brain plasticity in a context that is meaningful in daily life, work, and at home, the type of context that we share with a cultural group. For example, the American context may be different from other cultural contexts in Africa, Europe, Japan. These can be studied only by taking a very broad perspective that encompasses the whole human being living in many different places. KAF: In your 2010 SCAN paper “Cultural Neuroscience of the Self,” you write about the computer model of the brain being limiting and you note the influence of neural plasticity findings and epigenetics. You say the thesis of the mind as “powerfully organized by culture” is under-appreciated and under-researched and cultural neuroscience seeks to restore balance. Ideally, how would you like that to happen? SK: The first step is to document how the brain pathways and their connections might be different across different cultural groups. We just take it for granted that there is no such difference. But the truth is that we don’t know the answer to this question because we don’t have data. We have no data precisely because we believed the brain is the brain no matter where you go. We are finding preliminary evidence indicating that the ways in which parts of the brain might be connected to carry out seemingly identical tasks could be very different depending on people’s experience across different cultural groups. One working hypothesis could be that this is because of the activities of daily life. An alternative hypothesis could be genetic. But the first step is to document what kind of difference there might be. So that’s the initial goal we have set for ourselves. The next question to ask is why? 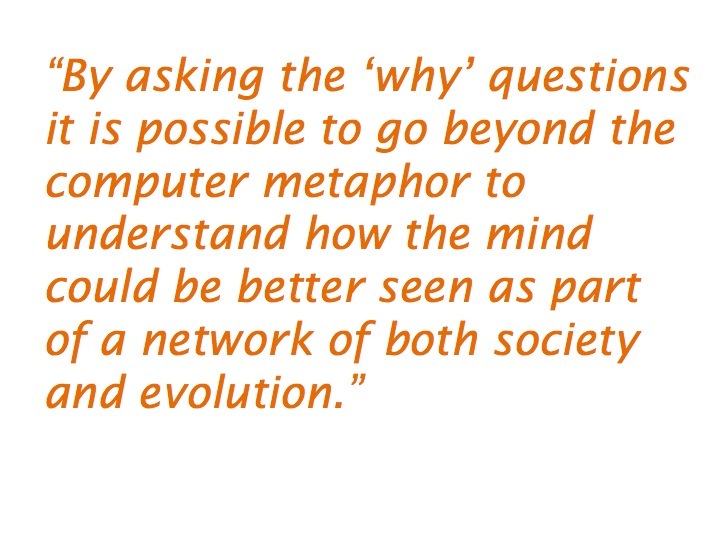 This is a much more important step and by asking the why questions it is possible to go beyond the computer metaphor to understand how the mind could be better seen as part of a network of both society and evolution. KAF: Do you think the East-West dichotomy is useful or does it hinder us? SK: It’s useful, but limiting as well. 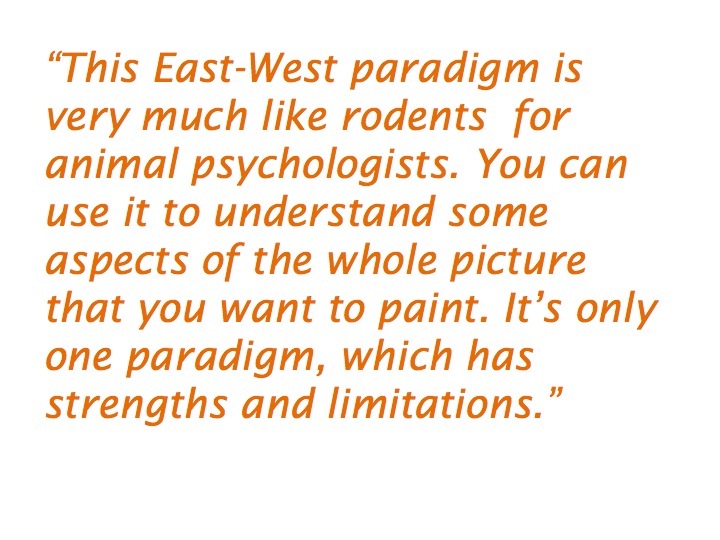 This East-West paradigm is very much like rodents for animal psychologists. You can use it to understand some aspects of the whole picture that you want to paint. It’s only one paradigm, which has strengths and limitations. Animal psychologists learn something about the nature of the psychology of different species by looking at rodents. It’s entirely possible to learn something informative by looking at two groups that are very different in many ways. East and West are very different in terms of history, climate. Ultimately, we won’t know exactly why East-West differences exist, but at the same time it’s only reasonable to start with something you know for sure shows some interesting differences. Increasingly, however, many researchers have begun looking at different cultural contexts or subgroup contexts other than East or West; it’s both interesting and important to identify variables and factors that underlie various cultural differences. Some are philosophical, ideological, and economic, which might be very important in differentiating cross-cultural psychological differences. This effort may well be very crucial to go beyond the East-West paradigm. KAF: In your paper you also propose a theoretical framework for understanding cultural–mind interaction. Please summarize it. SK: Culture influences the brain because culture provide us with “cultural practices” – conventions, routines, and scripts for daily life. For example, we know that after many years of driving a cab in London, one’s hippocampus goes through some structural change. This happens supposedly because of a high demand placed on spatial navigation. Very much likewise, as jugglers juggle some relevant parts of their brains also undergo significant changes. As a result, people become more capable of engaging in some particular action sequences, whether they are driving a cab in a complex city like London, or juggling. To put it differently, because of this engagement in cultural practices, I believe the brain can change in such a way that your processes can function very well within the cultural context. This is a very important part of the self because you begin to form your self by picking up some part of culture, or by appropriating some cultural practices as part of your own and you make your self. The brain you end up having becomes part of the self, which is, in turn, connected and embedded in a cultural context. KAF: You also write that because the brain reflects culture, brain activation patterns can lead to information about the characteristics of cultures themselves. I was interested in this bi-directionality. Please comment. SK: This is very abstract, but what’s going on is that culture exists out there offering practices, scripts, and associated assumptions and other ideas and you engage in some of those to change yourself. Your brain can change. Once your brain changes and your self changes, that becomes your agency and you act on the external world to begin changing the world. In American culture, for example, you are supposed to be very self-expressive and persuade other people to make a choice in a pro-active fashion to such an extent that in other cultures it’s considered indecent. But within the US it’s very important to acquire a brain and a self that is capable of doing those things naturally and automatically. Once you have that system in place, it works very well in a particular cultural context so that it can be part of evolutionary change as well. Over time those who fit in well do well in the reproductive market, and this can change the distribution of genes and so on. Probably you cannot do much alone, but some process like this is distributed all over a given cultural group and everyone contributes. Over a long time, there may be some noticeable change in gene frequency, exactly how a group is organized, and how evolutionary processes might operate, and so on. So there emerges a highly recursive, bi-directional interaction between brain and its surrounding environment. To put it another way, culture is there initially for an individual who is born in a given place and time, and as a result of culture, you are formed in attunement to some affordances and constraints of your culture. Your self is formed and your brain is formed. Eventually, however, the brain will begin to have influence on the social world. Of course, any single individual may make very little contribution, but if similar processes are distributed across many individuals, as a whole this reverse causation may be substantial. This influence from culture to brain or self and from self or brain to culture always occurs simultaneously, so really this process is recursive. At this point we don’t have enough sophistication to describe this in detail, but it is a big question we need to explore. KAF: People think of cultural neuroscience as descriptive and operating at the macro level compared to the genetic or molecular level of analysis in the rest of neuroscience. Should that get turned around for cultural neuroscience? Could it reach that level of analysis eventually? SK: Hopefully. Surely recent work in epigenetics is looking at early socialization to show how experience, particularly traumatic experience, can influence well-being at the level of gene expression. This kind of data can be important and interesting if done across different societies to see if such processes might be similar or different. We need data like this to ask questions to see if any particular principles or theories might be contingent on the particular society in which the study was done. There is increasing evidence that those theories or contingencies may depend on a much larger context, which we call culture. Once we begin to understand this, culture necessarily is part of a fine-grained analysis of how genes are activated or transformed. To be sure, we are not sophisticated enough today at this stage of development. We are mostly busy documenting possible cultural differences. So this work could be criticized as merely descriptive, but description should come first and you need to know the phenomenon you want to analyze and understand in certain mechanistic terms. The first step, however, is to identify the phenomenon. This really opens up the intellectual terrain you can travel. You and your colleagues are now capable of beginning to explore why such phenomena exist and what the underlying mechanisms might be. I want to find new things to see and study, new questions to ask and examine, and new ways to frame them. 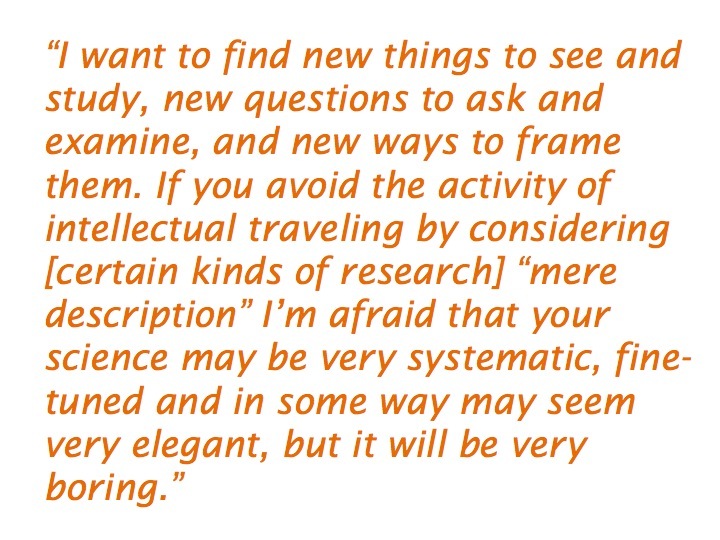 If you avoid the activity of intellectual traveling by considering them “mere description” I am afraid that your science may be very systematic, fine-tuned and in some way may seem very elegant, but it will be very boring. Your theory may be very general, but its applicability may end up being very, very tiny. By using the method of cultural neuroscience, your neuroscience theories may become very general because you force yourselves to broaden your theory’s applicability to different human groups and regions. By doing so, however, I believe that you will end up broadening your thinking as well because you will be realizing that it is not just enough to look only at the brain. You will have to be thinking more broadly about the interface between the brain and culture. SK: That study is our way to go beyond East-West differences. In the East-West literature we argue that Asians are more interdependent or more social and Americans are more independent and as a result their cognitive styles are also systematically different. So the idea in this paper was that if this is the case, there ought to be interesting variation within culture. If you can identify groups, which vary on the social dimension of independence and interdependence, even though those people share language or other practices they may show significant cognitive differences. So we compared fisherman, herders and farmers in a particular part within Turkey. That may be a small step, but a within-culture comparison like this could allow us to nail some theoretical assumptions we have used in East-West research. Basically, if you want to pin down a theoretical frame, you have to do lots of different things because cultural contexts are not easy to manipulate. So the best you can do is to triangulate by using lots of different kinds of information. So comparing one part of the world with others such that the groups vary on one theoretical dimension, but not on others is a very useful method. KAF: You’re interested in developmental cultural neuroscience as a subfield. What studies would you like to see done? SK: Not just in neuroscience, but also in cultural psychology in general, developmental studies are needed because exactly how we might acquire culture is not very well-understood – exactly when and why. There is some evidence that puberty might be a very important time period in this context and it makes sense for kids to acquire the most up-to-date culture before they move into the reproductive market. It makes sense that puberty is a sensitive period for cultural acquisition, but we don’t know much. That’s one speculation and it needs to be explored. For example, if this hypothesis is right, then the next question could be to explore the brain basis for such sensitivity. One might also examine what cultural practices might be organized to facilitate this sensitivity and so on. These questions are all important I believe. KAF: What can cultural neuroscientists learn from anthropologists, if anything? Given their different approaches, can they collaborate? SK: Absolutely. Anthropologists have done lots of investigations on diversity across cultures. You really need to be an expert of any given cultural group if that’s the group you want to work with. I, myself, am a kind of anthropologist of Japanese and Americans because I observe them in my life. KAF: Do you think they can collaborate? KAF: What about in practice? SK: In practice we ought to be able to work things out. Historically, however, the relationship is entangled and complicated. There are different opinions about what is meant by empirical investigation. Sometimes differences in opinion are big enough that we find it hard to communicate. That need not be the case, I’m sure. The situation can be much better and I learned a lot from that post-modern, interpretive critique of social science. We try to incorporate that kind of perspective into our theorizing by arguing that what we see as natural may be already cultural because cultural construction can go very, very deep. But I would still insist that experiments, or some so-called scientific way of asking questions, is valid and goes beyond mere constructions. Using numbers is just as meaningful as interpreting cultural artifacts. A very extreme, post-modern anthropologist might have opinions that go against that and on those occasions I, frankly, find it very hard to continue the conversation. KAF: Do you think eastern and western neuroethics differ? If so, in what ways? SK: They could. In more traditional domains such as justice and altruism, moral judgment has been shown to vary quite a bit although there are some universal features as well. Neuroethics is very new and in very important ways it needs to deal with problems humans have never experienced before, say, neuro-surgery or brain transplants or whatever. These domains of ethics and morality seem to be a very exciting arena where knowledge of cutting-edge sciences, including neuroscience, must have contact with discourses prevalent in given cultural groups and regions. KAF: I’ve heard proponents of neuro-enhancement argue that the decision to enhance one’s own brain should be a matter of personal choice. They emphasize the benefits to society of individuals who are smarter, cheerier, etc. Are these arguments persuasive in the East? SK: This is a complex issue. It seems to me that under certain kinds of cosmology, the body and possibly the mind as well, are conceptualized as part of the nature. In this view, it is not moral to attempt excessive human intervention to change the mind and body. Maybe it is justified to fix problems nature caused (as in medicine, for example). But it is considered immoral to use performance-enhancing drugs, for example. I have some hunch that this kind of cosmology might be somewhat stronger in a more holistic culture where the human is seen as connected to and embedded within the cosmos. Of course, here, I take it for granted that neuroenhancement is analogous to performance enhancement. I am curious to see what the proponents of neuroenhancement may say and how they justify it. If they justify neuroenhancement, I also wonder if they justify performance enhancement as well in, say, the Olympics Games or MLB. KAF: What is the greatest mystery that cultural neuroscientists have yet to solve? SK: There are many mysteries. For example, I have begun to suspect that neuroscience measures are often extremely sensitive to social and cultural variables in a way behavioral or even self-report measures are not. I discussed this in some length in our Annual Review (in press) piece. Why? It is not entirely clear. Or consider evolution. Why is it that our DNA is nearly identical to non-human primates and, yet, only we have what we call culture? Only humans have schools, civil traditions, city hall, and airplanes, to say nothing of language. Why? Across cultures, prevalence of mental illnesses like depression, anxiety disorders, and schizophrenia appears to vary quite a bit. Is this a matter of biology alone? Might culture be part of the explanation? Some studies show that personality has some high degree of consistency, whereas some others suggest strong malleability. How come? How might culture be part of a solution to this paradox? Many such questions are in some way within reach within our lifetime I suppose. But there are some big ones as well. The most important is to find out how to integrate cultural processes (which are essentially historical) within a broader scheme of evolution (which is essentially biological), thereby overcoming the duality of nurture and nature. KAF: What do you think the most exciting area of cultural neuroscience research will be in the next twenty years? Fifty years? SK: I would bet that in the next 10 or 20 years we will know much more about how what we have so far regarded as basic psychological or neural processes might be qualified by socio-cultural processes. We will know much more about how cross-culturally variable polymorphisms or other genes might be causally related to certain neural and behavioral processes. We may also begin to understand why that might be the case. We will also begin to know exactly how biology has prepared us to acquire culture. This analysis would require a lot of careful developmental studies. Although these studies have yet to be done, they will be sooner or later. What will happen after a half century? One would hope, as I do, that many of the questions I have just considered will begin to be addressed and understood within a more or less coherent framework. Some big picture may be coming into sight. Or, alternatively. we might be getting back to a kind of basics – to the kinds of observations and theories made by some of the giants in the social and biological sciences like Freud, Darwin, Marx, and others. In terms of a cosmology based on linear change and progress, this might seem like a disaster. But consider an alternative cosmology, one that says such events are circular rather than linear. The real question becomes how much more expanded and elaborated, or how much deeper and fine-grained, our view is going to be in twenty of fifty years time. From the perspective of a more dialectical cosmology, getting back to those giants once again might be a really good thing. Kitayama, S., & Park, J. (2010). Cultural neuroscience of the self: Understanding the social grounding of the brain. SCAN, 5(2–3), 119–129. Cultural neuroscience is an interdisciplinary field of research that investigates interrelations among culture, mind and the brain. Drawing on both the growing body of scientific evidence on cultural variation in psychological processes and the recent development of social and cognitive neuroscience, this emerging field of research aspires to understand how culture as an amalgam of values, meanings, conventions, and artifacts that constitute daily social realities might interact with the mind and its underlying brain pathways of each individual member of the culture. In this article, following a brief review of studies that demonstrate the surprising degree to which brain processes are malleably shaped by cultural tools and practices, the authors discuss cultural variation in brain processes involved in self-representations, cognition, emotion and motivation. They then propose (i) that primary values of culture such as independence and interdependence are reflected in the compositions of cultural tasks (i.e. daily routines designed to accomplish the cultural values) and further (ii) that active and sustained engagement in these tasks yields culturally patterned neural activities of the brain, thereby laying the ground for the embodied construction of the self and identity. Implications for research on culture and the brain are discussed. Kitayama, S., & Uskul, A. (2011). Culture, mind, and the brain: Current evidence and future directions. Annual Review of Psychology (in press). Current research on culture focuses on independence and interdependence and documents numerous East-West psychological differences with an increasing emphasis placed on cognitive mediating mechanisms. Lost in this literature is a time-honored idea of culture as a collective process composed of cross-generationally transmitted values and associated behavioral patterns (i.e., practices). A new model of neuro-culture interaction proposed here addresses this conceptual gap by hypothesizing that the brain serves as a crucial site that accumulates effects of cultural experience, insofar as neural connectivity is likely modified through sustained engagement in cultural practices. Thus, culture is “embrained” and, moreover, this process requires no cognitive mediation. The model is supported in a review of empirical evidence regarding 1) collective-level factors involved in both production and adoption of cultural values and practices and 2) neural changes that result from engagement in cultural practices. Future directions of research on culture, mind, and the brain are discussed. Maguire, E. A., Gadian, D. G., Johnsrude, I. S., Good, C. D., Ashburner, J., Frackowiak, R. S., & Frith, C. D. (2000). Navigation-related structural change in the hippocampi of taxi drivers. Proc Natl Acad Sci USA, 97(8), 4398–4403. Structural MRIs of the brains of humans with extensive navigation experience, licensed London taxi drivers, were analyzed and compared with those of control subjects who did not drive taxis. The posterior hippocampi of taxi drivers were significantly larger relative to those of control subjects. A more anterior hippocampal region was larger in control subjects than in taxi drivers. Hippocampal volume correlated with the amount of time spent as a taxi driver (positively in the posterior and negatively in the anterior hippocampus). These data are in accordance with the idea that the posterior hippocampus stores a spatial representation of the environment and can expand regionally to accommodate elaboration of this representation in people with a high dependence on navigational skills. It seems that there is a capacity for local plastic change in the structure of the healthy adult human brain in response to environmental demands. Scholz, J., Klein, M. C., Behrens, T. E. J., & Johansen-Berg, H. (2009). Training induces changes in white-matter architecture. Nature Neuroscience, 12, 1370–1371. Although experience-dependent structural changes have been found in adult gray matter, there is little evidence for such changes in white matter. Using diffusion imaging, we detected a localized increase in fractional anisotropy, a measure of microstructure, in white matter underlying the intraparietal sulcus following training of a complex visuo-motor skill. This provides, to the best of our knowledge, the first evidence for training-related changes in white-matter structure in the healthy human adult brain. Uskul, A. K., Kitayama, S. , & Nisbett, R. E. (2008). Ecocultural basis of cognition: Farmers and fishermen are more holistic than herders. Proc Natl Acad Sci USA, 105(25), 8552–8556. It has been proposed that social interdependence fosters holistic cognition, that is, a tendency to attend to the broad perceptual and cognitive field, rather than to a focal object and its properties, and a tendency to reason in terms of relationships and similarities, rather than rules and categories. This hypothesis has been supported mostly by demonstrations showing that East Asians, who are relatively interdependent, reason and perceive in a more holistic fashion than do Westerners. We examined holistic cognitive tendencies in attention, categorization, and reasoning in three types of communities that belong to the same national, geographic, ethnic, and linguistic regions and yet vary in their degree of social interdependence: farming, fishing, and herding communities in Turkey’s eastern Black Sea region. As predicted, members of farming and fishing communities, which emphasize harmonious social interdependence, exhibited greater holistic tendencies than members of herding communities, which emphasize individual decision making and foster social independence. Our findings have implications for how ecocultural factors may have lasting consequences on important aspects of cognition. This entry was posted in challenges of interdisciplinary research, cultural neuroscience by karenafrenkel. Bookmark the permalink. Really great interview. Thanks! Kinda wish he had mentioned neuroanthropology when asked about working with anthropology. Collaboration is moving beyond principle at this point!